Perfect item to compliment any anglers set of keys, ID card, whatever you don't want to loose. 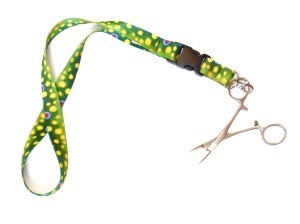 18 inches long, fits around neck or in pocket, side buckle & bolt snap attachments. 2.0oz. Made in USA.